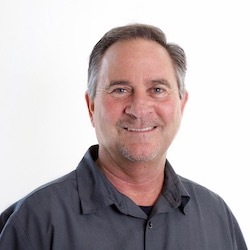 Rip graduated from Fresno State University in 1985 with a degree in "Business Marketing", which has been a huge asset for his clients that appreciate high-end marketing. His whole life has been surrounded by Real Estate...Iliff Fritzer, his mother owned the #1 independant Real Estate Company in the early 70's called Rhodes & Iliff Realtor's. Rip's 25+ years of knowledge and rookie enthusiam is a strong combination for all seller's and buyer's. Real Estate is a fulltime job & commitment that Rip enjoys, but also takes very seriously. Rip has played team sports throughout his life and understands that one must be accountable to be successful. Each new listing is a separate team that has specific goals, and it is his teams's job to creatively unleash their knowledge, desire and energy to achieve their goals.